I'm really a coffee girl. One big cup every day, and I like the strong stuff. But when I'm sick with a cold like I am now, or when I'm just feeling down, there's nothing like a cup of tea. More than the tea, though, I'm sure these kettles and teapots would do wonders to lift my spirits. My best friend went on an eBay quest a while back to find a vintage Bodum Ottoni Stovetop Kettle. It's now sitting pretty on her stove, and I'm jealous. 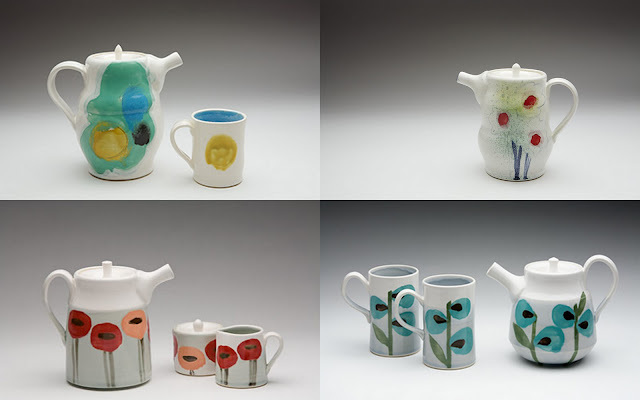 I just love these sweet ceramic tea sets by Vancouver artist Heather Braun-Dahl. 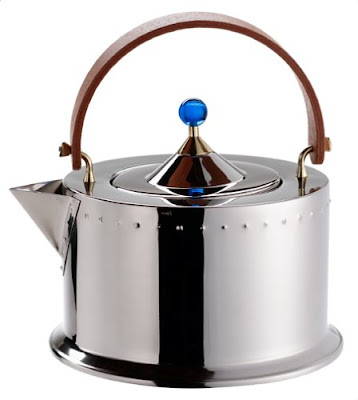 This is the tea kettle I have, designed by Michael Graves for Alessi. I was lucky enough to inherit it from my great aunt, but sadly, it's missing the little birdie that makes it whistle. The Pito Tea Kettle by architect Frank Gehry is also made by Alessi. It screams mid-century modern, but Gehry only designed it in 1992. I hope you enjoyed your tea break! I definitely crave tea and honey when I'm under the weather! feel better my dove! i heart tea :) try bengal spice by celestial seasonings (the one with the tiger on the box) it is my FAVE! Saw the Blaue Blume range a while back cos I love tea, especially Earl Grey! Their range is awesome, especially the sugar bowl! I am also a coffee girl too, more so than ever since I reside in Greece! 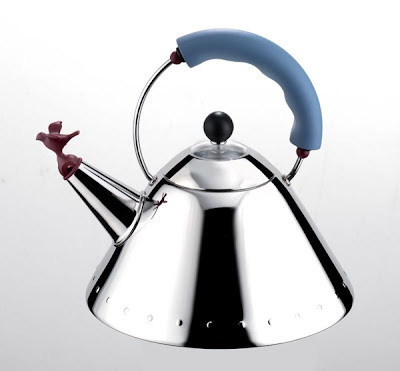 Ahh it's such a shame your kettle is missing the whistle, especially when it's so cute! I actually have my eye out for a cool tea kettle! I actually saw on the news last night how we are especially vulnerable to getting sick with weather like this, due to the repeated "trauma". My husband is not convinced, but I totally feel like I am fighting something post blizzard #4! Feel better! those ceramic sets are so whimsical! you're going to think i'm a freak, but i've actually never tried tea before. i kinda want to though! I am equally shocked at Kinsey having near tried tea! What madness!! I'm partial to the first teapot- it's cheeky (as the Brits would say). So I've been taking Zicam like you suggested- I hope it works for me and I hope you feel better soon. I owe you a shirt! A shirt? What are you talking about? I'm originally from Boston & I have to say between Philly and Boston...Boston is way cooler. There I said it! p.s. Speaking of cool. 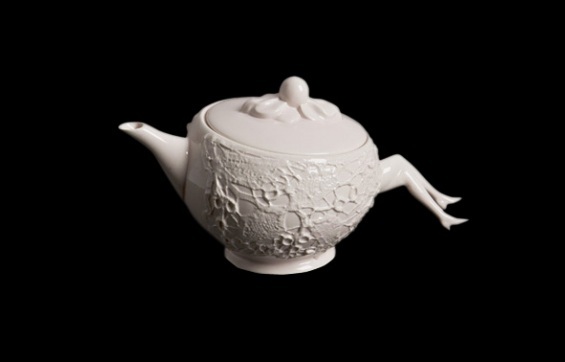 This is the coolest teapot ever & I could just imagine what people would say when you tried to serve them tea in this. I would love it! 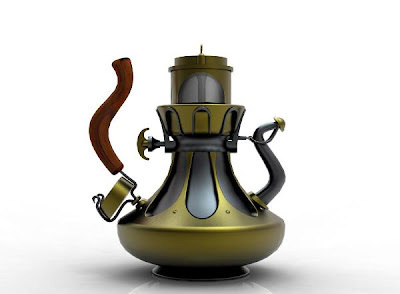 That first tea kettle is such a babe! Haha, I'm a coffee girl all the way, (and back again), but I do like tea in the afternoons or at night. Especially the kind of tea that has it's health benefits listed out for me, because then I can feel healthy and superior just by sipping a cup! Love the detail on it. I drink tea all the time, had to give up coffee when I got mono/liver infection and my body just couldn't handle it. 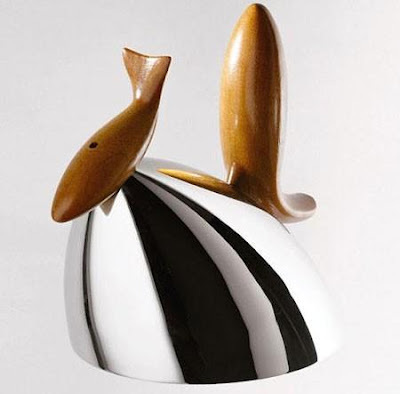 These tea kettles/pots are wonderful (yours is my fav!). Sadly I have a stupid tea kettle from Target. Sigh, maybe one day. I'm a Tea girl myself, 95% of the time! Love collecting curious teapots. I actually never expected that my fav would be Frank Gehry's... not always his fan, but the kooky dynamic shapes and play between polished metallics and timber. Love it.